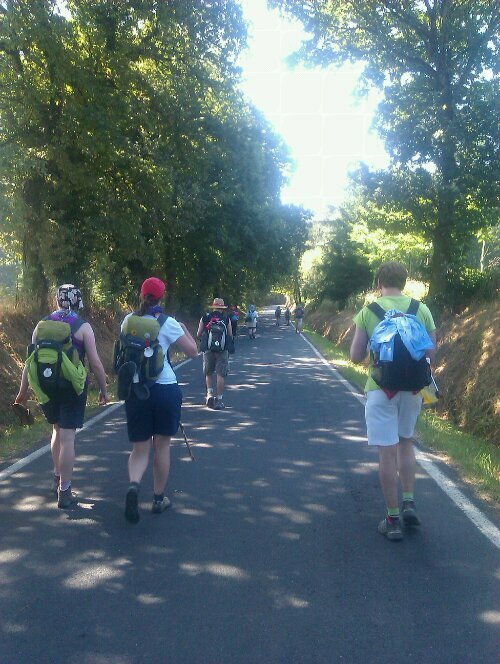 Having just completed our Camino journey and arrived in Santiago there is a sense of achievement and joy in the group. The pains and aches have not necessarily gone, but the feeling of arrival puts them into perspective. It seems true too that memories of struggle along the journey have been replaced by gratitude for the support received, the friendships developed and the companionship experienced. Has the journey ended, no! It is only now that we can begin to really live the learnings from our journey. 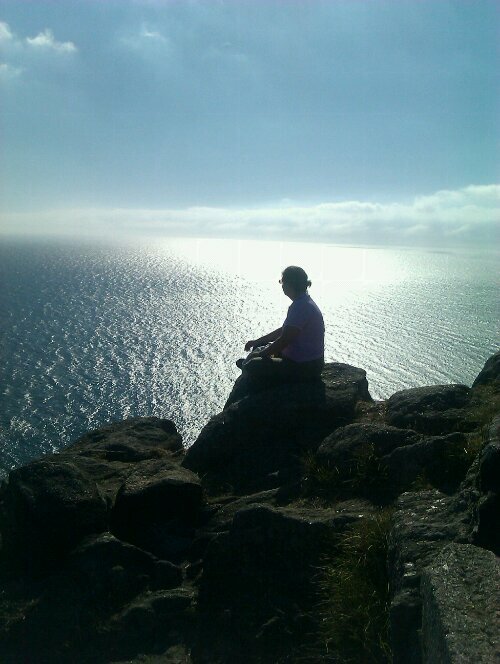 We took a day trip to Finisterre, you can see from the photo that it is very beautiful. It left me to reflect about why some people walk on from Santiago to Finisterre… for me the cathedral and tomb of St James are the end, and I see how some pilgrims arrive and yet are not ready to finish.. Finisterre provides a literal end point, but I think that the message of the Camino is more clearly expressed in the feeling that it is not finished, life, with all the joys of Camino, goes on. The Camino is not about an end point, it is about a beginning. POPE FRANCIS…OUR PRAYERS ARE BEING ANSWERED! Whilst no longer needing to live by the Jesuit rules (apparently once a Jesuit becomes Bishop they are not obliged to live under the Jesuit rule), I am delighted to know that the current Bishop of Rome, our Pope, is a man rooted and formed in the Ignatian tradition, desiring to be a companion of Jesus who by his life models and draws others to be men and women for others. 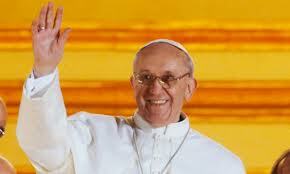 But on the cusp of this new Chapter in the Church’s history what do I hope for from this new Pope? As a member of an Ignatian religious congregation, I hope he witnesses to being a man loved by God. Rooted in that love may he show the loving and compassionate face of God to each person and to all of creation. As all who do the Spiritual Exercises are invited to move towards freedom for mission, may he also encourage and nurture the Church to do the same. By his example may we, the People of God, be called to gather under the standard of Christ, desiring poverty rather than riches, humilty rather than pride and insults rather than praise and adulation. Let us pray for our Church as this new chapter begins and for Pope Francis in his ministry of service and leadership of God’s people.